Metal mantels are a great new style trend that combine beauty with practicality. 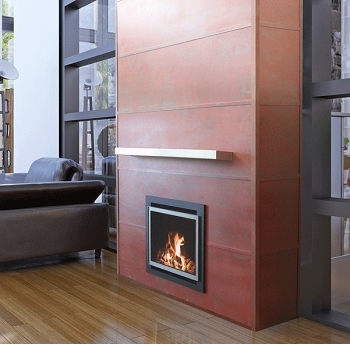 They're a fabulous way to update your fireplace style with an industrial, contemporary or old world style. 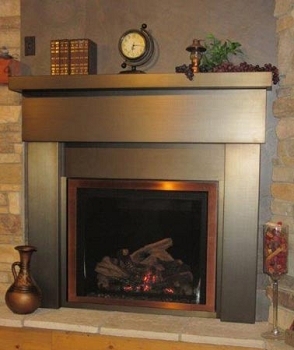 Not just unique, a steel mantel is the perfect solution for use where a wood mantel would be overheated, such as when you want a mantel shelf closer to your fireplace opening or where vent-free gas logs are producing too much heat as they're completely non-combustible. These mantels and mantel shelves are made in America to your exact specifications - in your choice of finishes - and ship in just 3 weeks.